Question 1: Mr. President, first I want to thank you very much to receive me for an interview. Mr. President, did you give an order to strike Khan Sheikhoun with chemical weapons last Tuesday? President Assad: Actually, no-one has investigated what happened that day in Khan Sheikhoun till the moment. As you know, Khan Sheikhoun is under the control of al-Nusra Front, which is a branch of Al Qaeda, so the only information the world have had till this moment is published by Al Qaeda branch. No-one has any other information. We don’t know if the whole pictures or videos that we’ve been seeing are true or fabricated. That’s why we asked for investigation to what happened in Khan Sheikhoun. This is first. Second, Al Qaeda sources said that the attack happened at 6, 6:30 in the morning, while the Syrian attack in the same area was around noon, between 11:30 to 12. So, they’re talking about two different stories or events. So, there was no order to make any attack, we don’t have any chemical weapons, we gave up our arsenal a few years ago. Even if we have them, we wouldn’t use them, and we have never used our chemical arsenal in our history. Question 2: So what happened this day? 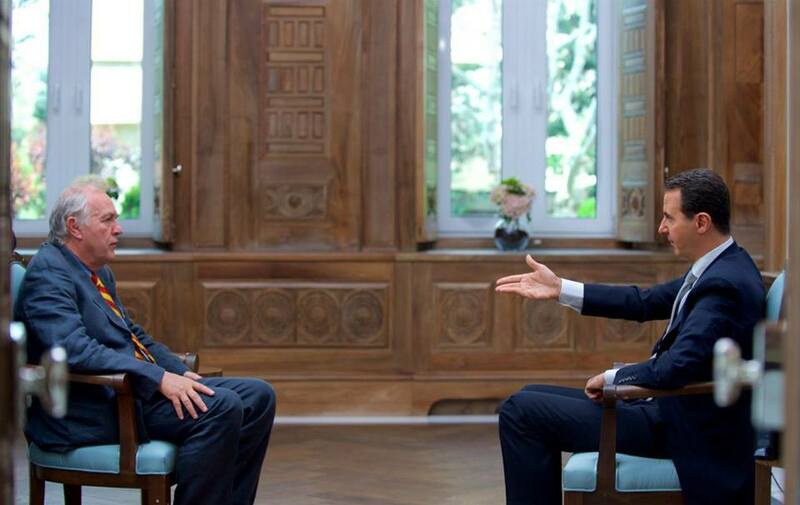 President Assad: As I said, the only source is Al Qaeda, we cannot take it seriously. But our impression is that the West, mainly the United States, is hand in glove with the terrorists. They fabricated the whole story in order to have a pretext for the attack, It wasn’t an attack because of what happened in khan Sheikhoun. It’s one event, its stage one is the play that we saw on the social networking and on TVs, and the propaganda, and the stage two is the military attack. That’s what we believe is happening because it’s only few days – two days, 48 hours – between the play and the attacks, and no investigations, no concrete evidence about anything, the only thing were allegations and propaganda, and then strike. Question 3: So, who according to you is responsible about this alleged chemical attack? President Assad: The allegation itself was by Al Qaeda, al-Nusra Front, so we don’t have to investigate who, they announced it, it’s under their control, no-one else. About the attack, as I said, it’s not clear whether it happened or not, because how can you verify a video? You have a lot of fake videos now, and you have the proof that those videos were fake, like the White Helmets for example, they are Al Qaeda, they are al-Nusra Front who shaved their beards, wore white hats, and appeared as humanitarian heroes, which is not the case. The same people were killing Syrian soldiers, and you have the proof on the internet anyway. So, the same thing for that chemical attack, we don’t know whether those dead children were killed in Khan Sheikhoun? Were they dead at all? Who committed the attack if there was an attack? What’s the material? You have no information at all, nothing at all, no-one investigated. Question 4: So you think it’s a fabrication? President Assad: Definitely, a hundred percent for us, it’s fabrication. We don’t have an arsenal, we’re not going to use it. And you have many indications if you don’t have proof, because no-one has concrete information or evidences, but you have indications. For example, less than two weeks, around ten days before that attack, the terrorists were advancing in many fronts, including the suburbs of Damascus and Hama which is not far from Khan Sheikhoun, let’s suppose we have this arsenal, and let’s suppose that we have the will to use it, why didn’t we use it when we were retreating and the terrorists were advancing? Actually, the timing of that attack or alleged attack was when the Syrian Army was advancing very fast, and actually the terrorists were collapsing. So, why to use it, if you have it and if you have the will, why to use it at that timing, not when you were in a difficult situation, logically? This is first. Second, if you want to use it, if you have it and if you want to use it – again, this is if we suppose – why to use it against civilians, not to use it against the terrorists that we are fighting? Third, in that area, we don’t have army, we don’t have battles, we don’t have any, let’s say, object in Khan Sheikhoun, and it’s not a strategic area. Why to attack it? What’s the reason? Militarily, I’m talking from a military point of view. Of course, the foundation for us, morally, we wouldn’t do it if we have it, we wouldn’t have the will, because morally this is not acceptable. We won’t have the support of the public. So, every indication is against the whole story, so you can say that this play that they staged doesn’t hold together. The story is not convincing by any means. Question 5: With the US airstrike, Trump seems to have changed his position on you and Syria drastically. Do you have the feeling that you lost what you have called a potential partner? President Assad: I said “if”. It was conditional. If they are serious in fighting terrorists, we’re going to be partners, and I said not only the United States; whoever wants to fight the terrorists, we are partners. This is basic for us, basic principle, let’s say. Actually, what has been proven recently, as I said earlier, that they are hand in glove with those terrorists, the United States and the West, they’re not serious in fighting the terrorists, and yesterday some of their statesmen were defending ISIS. They were saying that ISIS doesn’t have chemical weapons. They are defending ISIS against the Syrian government and the Syrian Army. So, actually, you cannot talk about partnership between us who work against the terrorists and who fight the terrorism and the others who are supporting explicitly the terrorists. Question 6: So, can we say that the US strike changed your opinion on Trump? President Assad: Anyway, I was very cautious in saying any opinion regarding him before he became President and after. I always say let’s see what he’s going to do, we wouldn’t comment on statements. So, actually, this is the first proof that it’s not about the President in the United State; it’s about the regime and the deep state or the deep regime in the United States is still the same, it doesn’t change. The President is only one of the performers on their theatre, if he wants to be a leader, he cannot, because as some say he wanted to be a leader, Trump wanted to be a leader, but every President there, if he wants to be a real leader, later he’s going to eat his words, swallow his pride if he has pride at all, and make a 180 degree U-turn, otherwise he would pay the price politically. Question 7: But do you think that there will be another attack? President Assad: As long as the United States is being governed by this complex of military industrial complex, the financial companies, banks, and what you call deep regime, and works for the vested interest of those groups, of course. It could happen anytime, anywhere, not only in Syria. Question 8: And, your army or the Russians will retaliate if it happens again? 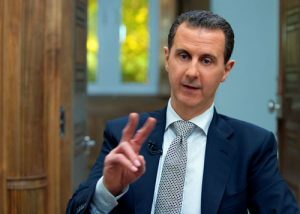 President Assad: Actually, if you want to talk about retaliation, we are talking about missiles coming from hundreds of miles, which is out of our reach, but actually the real war in Syria is not about those missiles; it’s about supporting the terrorists. This is the most dangerous part of this war, and our response is going to be what we started from the very first day: is smashing the terrorists everywhere in Syria. When we get rid of the terrorists, we wouldn’t worry about anything else at that time. So, this is our response. It’s a response, not reaction. Question 9: So, what you say means that retaliation by the Syrian Army or by the Russians will be very difficult, because the boats are very far? President Assad: For us, as a small country, yeah, of course it is, everybody knows that. It’s out of reach. I mean, they can have missiles from another continent. We all know that. They are a great power, we’re not a great power. Talking about the Russians, this is another issue. Question 10: Would you accept the findings of OPCW investigation? President Assad: Since the very first time, when we had in 2013, I think, the first attacks by the terrorists on the Syrian Army by chemical missiles at that time, we asked for investigation. We were the ones who asked for investigations every time there was chemical attacks or allegations about chemical attacks. We asked. And this time, we were discussing with the Russians yesterday and during the last few days after the strike that we’re going to work with them on international investigation. But it should be impartial. We can only allow any investigation when it’s impartial, when we make sure that unbiased countries will participate in this delegation in order to make sure that they won’t use it for politicized purposes. Question 11: And, if they accuse the government, would you step down? 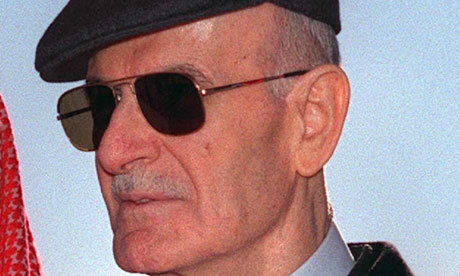 President Assad: If they accuse, or if they prove? There’s a big difference. No, they are already accusing the government, and if you mean by “them” the West, no, we don’t care about the West. If you mean the chemical agency, if they can prove that there’s an attack, we have to investigate who gave the order to that attack. But a hundred percent, as Syrian Army, we don’t have, and we cannot – even if we want, we cannot – we don’t have the means to commit such attack, and we don’t have the will. Question 12: So, you mean that you don’t have chemical weapons? 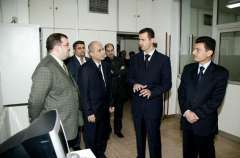 President Assad: No, no, definitely, a few years ago, in 2013, we gave up all our arsenal, and the chemical agency announced that Syria is free of any chemical materials. Question 13: Because the Pentagon said that there are chemical weapons in the airbase, you deny it? President Assad: They attacked that airbase, and they destroyed the depots of different materials, and there was no sarin gas. How? If they said that we launched the sarin attack from that airbase, what happened to the sarin when they attacked the depots? Did we hear about any sarin? Our Chief of Staff was there a few hours later, how could he go there if there was sarin gas? How could you only have six martyrs if you have hundreds of soldiers and officers working there, but there was sarin, and they didn’t die. The same fabricated videos that we’ve been seeing about Khan Sheikhoun, when the rescuers tried to rescue the victims or the supposedly dead people or inflicted people, but actually they weren’t wearing any masks or any gloves. How? Where’s the sarin? They should be affected, right away. So, this is all allegation. I mean, this attack and these allegations is another proof that it was fabricated and there was no sarin anywhere. Question 14: If you say that you didn’t give any order, it is possible that the chemical attack could have been carried out by a rogue or fringe element from the army? President Assad: Even if you have a rogue element, the army doesn’t have chemical materials. This is first. Second, a rogue army cannot send an airplane at their will, even if they want. It’s an airplane, it’s not a small car to take it from place to place or a small machinegun to use it. You can talk about somebody who has been using his pistol on his behalf the way he wants and break the law, that could happen anywhere in the world, but not an airplane. This is second. Third, the Syrian Army is a regular army, it’s not a militia. It’s a regular army, it has hierarchy, it has very clear way of orders, so this kind of “rough personnel tried to do something against the will of the leadership of the army” never happened during the last six years of the war in Syria. Question 15: Did the Russians warn you before the US attack? And were they present in the airbase? 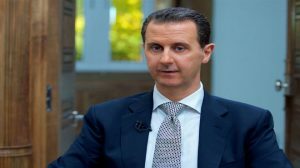 President Assad: No, they didn’t warn us because they didn’t have the time to warn, because the Americans called them maybe a few minutes before the launching, or some say after the launching, because it takes time to reach the base. But actually, we had indications that there was something that was going to happen, and we took many measures in that regard. Question 16: Do you confirm that 20% of your air force has been destroyed in this attack as the Americans said? President Assad: I don’t know what’s the criteria, what’s the reference of 20%, what’s the hundred percent for them? Is it the number of airplanes? Is it the quality? Is it, how to say, the active airplanes and stored airplanes? I don’t know what do they mean by this. No, actually, what we and the Russians announced about a few airplanes being destroyed, most of them are the old ones, some of them were not active anyway. This is the reality, and the proof is that, since the strike, we haven’t stopped attacking terrorists all over Syria. So, we didn’t feel that we are really affected. Our firepower, our ability to attack the terrorists hasn’t been affected by this strike. Question 17: You know, your government said in the beginning that you hit a chemical weapon depot. Is it true? President Assad: It was a possibility, because when you attack any target related to the terrorists, you don’t know what’s in it. You know that this a target; it could be a store, it could be warehouse, it could be a depot, it could be a camp, it could be a headquarter, we don’t know. But you know that the terrorists are using this place and you attack it, like any other place, and that’s what we’ve been doing since the beginning of the war on daily bases, on hourly bases sometimes, but you cannot tell what’s within this. So, that was one of the possibilities that the airstrikes attacked a depot of chemical materials, but this is conflicting again with the timing of the announcement, not because only the terrorists announced it in the morning, but because their media, their pages on Twitter and on the internet announced the attack a few hours before the alleged one, which is 4 in the mourning. 4 in the morning, they announced that there’s going to be a chemical attack, we have to be ready. How did they know about it? Question 18: Don’t you see that Khan Sheikhoun is a huge setback for you? For the first time in six years, the US attack your army and yesterday after a brief honeymoon, yesterday Tillerson said that reign of Assad family is coming to the end, don’t you think that Khan Sheikhoun is a huge setback for you? 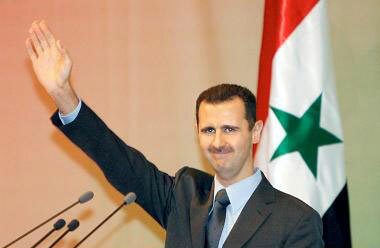 President Assad: There is no reign of Assad family anyway in Syria. He’s dreaming, or let’s say, he’s hallucinating, so, we don’t waste our time with his statement. In reality, no. Actually, during the last six years, The US was directly involved in supporting the terrorists everywhere in Syria, including ISIS, including al-Nusra, including all the other like-minded factions in Syria, this is clear, and this is proven in Syria. 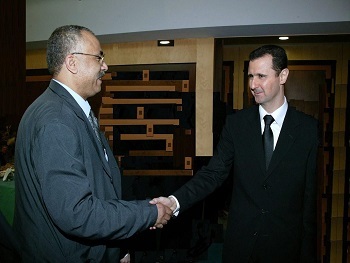 While if you want to talk about the direct attacks, actually only a few months ago, there was a more dangerous attack than the recent one, just before Obama left, I think a few weeks before he left, it was in Deir Ezzor in the eastern part of Syria when they attacked a very strategic mountain, it was a Syrian base, a regular Syrian Army base, and that helped ISIS to take over that mountain, and if the Syrian Army wasn’t resilient and strong enough to repel ISIS, the city of Deir Ezzor would have been now in the hands of ISIS, means a direct link between Deir Ezzor and Mosul in Iraq, which would have been a very strategic gain to ISIS. So, actually, no, the American government was directly involved. But this time, why did they attack directly? Because, as I said, the terrorists in that area were collapsing. So, the Unites States didn’t have any other choice to support their proxies, the terrorists, but to directly attack the Syrian Army because they sent them all kinds of armaments and it didn’t work. Question 19: So, for you, it’s not a huge setback? President Assad: No, no, it’s actually part of the context, the same context for six years; it took different shapes, but the core of the American policy and the Western policy towards what’s happening in Syria, it hasn’t changed at all. Forget about the statements; sometimes we have high-pitch statements, sometimes you have low-pitch statements, but it’s the same policy. 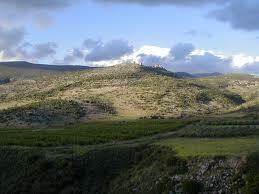 Question 20: You have gradually pushed most of the rebels into Idleb, do you plan to attack it next? President Assad: We’re going to attack terrorists anywhere in Syria, Idleb or any other place. What’s the timing, what’s the priority, this is a military issue and should be discussed on the military level. Question 21: You said before that Raqqa is a priority for your government, but the forces advancing on the city are mostly US-backed Kurds, aren’t you afraid of being excluded from the liberation of Raqqa? President Assad: No, we support whoever wants to liberate any city from the terrorists, but that doesn’t mean to be liberated from terrorists and being occupied by American forces, for example, or by another proxy, or another terrorists. So, it’s not clear who is going to liberate Raqqa. Is it really Syrian forces that are going to hand it over to the Syrian Army? Is it going to be in cooperation with the Syrian Army? It’s not clear yet. But what we hear is only allegations about liberating Raqqa. We’ve been hearing that for nearly a year now, or less than a year, but nothing happened on the ground. So, it’s just, let’s say, a hypothetical question, because there is nothing concrete on the ground. Question 22: The US and Russia are the co-sponsors of Geneva process. Because of the tension between the two countries, do you think that this process can continue? President Assad: Look, there’s a big difference between the process being active, which could happen anytime, to reactivate the process and to be effective. Till this moment, its’ not effective. Why? Because the United States is not serious in achieving any political solution. They want to use it as an umbrella for the terrorists, or they want to get in this forum what they didn’t get on the ground in the battlefield. That’s why it wasn’t effective at all. Now, it’s the same situation, we don’t see this administration serious in that regard, because they still support the same terrorists. So, we can say yes, it could be reactivated, but we cannot say we expect it to be effective or productive. No. Question 23: After six years, Mr. President, aren’t you tired? 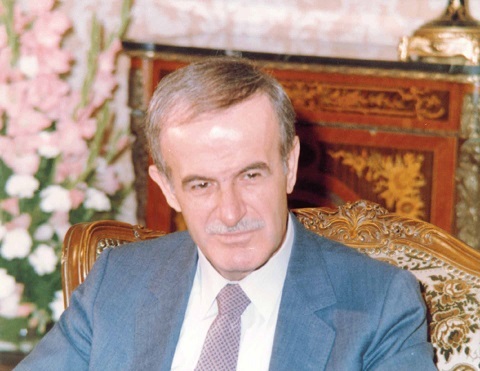 President Assad: Actually, the only thing that could make pressure on you is not the political situation, not the military situation; actually the human situation in Syria, the daily blood-letting, the daily blood-shedding, the suffering and the hardship that inflicted every house in Syria, this is the only painful thing that could make you feel tired- if it is accurate to say “tired”- while if you talk about the war, about the politics, about the relation with the West, no, I don’t feel tired at all, because we are defending our country, and we’re not going to get tired at all in that regard. Question 24: What makes you lose sleep? President Assad: Again, the suffering of the Syrian people. The humanitarian interaction between me and every Syrian family directly or indirectly, this is the only thing that could deprive me from sleep from time to time, but not the Western statements and not the threat of the support of the terrorists. Question 25: Today, there are people from Foua’a and Kefraya who will move from their village to Damascus and to Aleppo. You are not afraid that in fact it will be a displacement of population, that the Syria after the war will not be the same Syria as before? President Assad: The displacement in that context is compulsory. We didn’t choose it. We wish that everyone could stay in his village and his city, but those people like many other civilians in different areas were surrounded and besieged by the terrorists, and they’ve been killed on daily basis, so they had to leave. But of course they’re going to go back to their cities after the liberation; that happened in many other areas where the people are going back to their homes. So, it’s temporary. 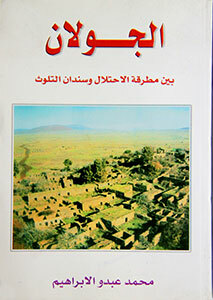 Talking about demographic changes is not in the sake or in the interest of the Syrian society when it’s permanent. As long as it’s temporary, we wouldn’t worry about it. Journalist: Mr. President, I want to thank you very much for this interview. Journalist: It was very interesting, and thank you very much for talking with me.